The perfect "I love you" gift for him. 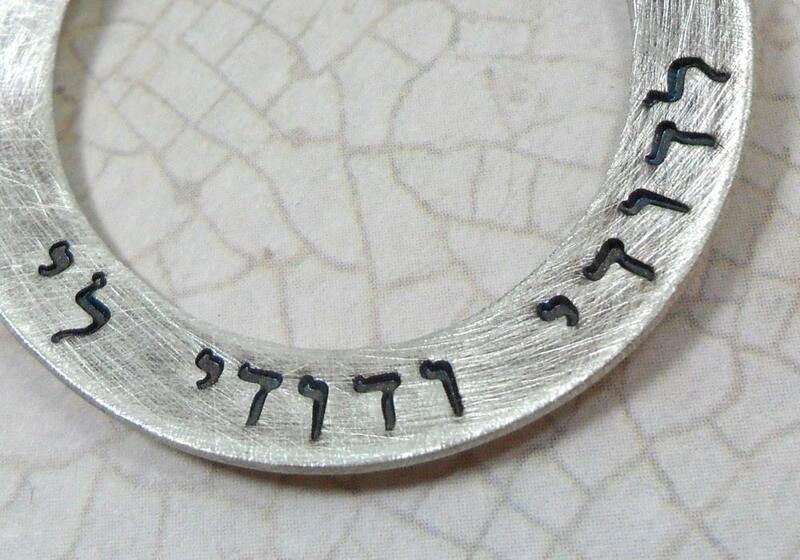 This sterling silver washer has been hand stamped with the Hebrew words "Ani L'dodi vDodi Li," meaning "I am my beloved's and my beloved is mine." The pendant was shaped to be slightly concave (as you can see from the second to last picture). It was also oxidized (blackened) and given a brushed finish. 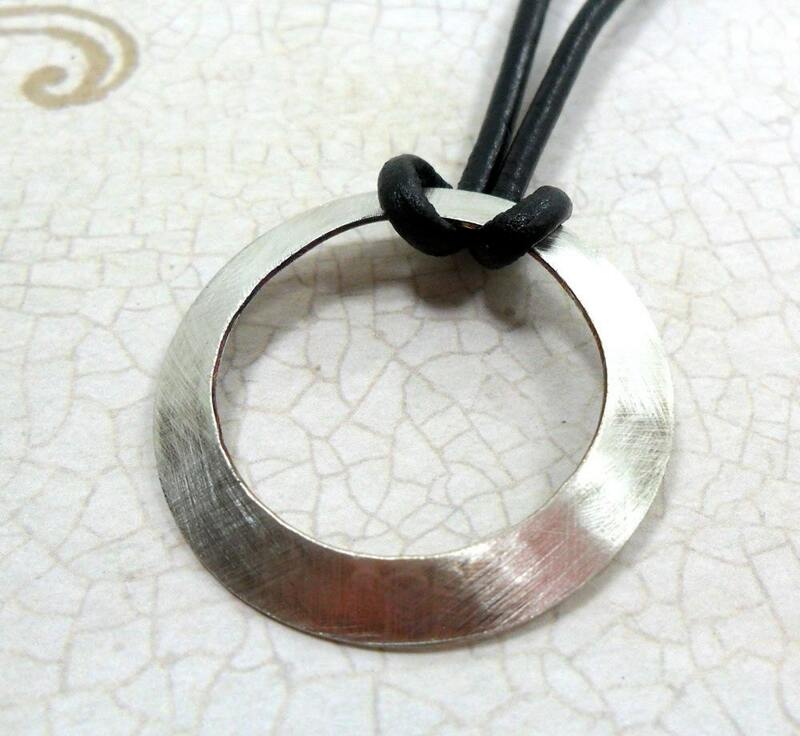 Paired with a black leather cord, this necklace is rustic and masculine. 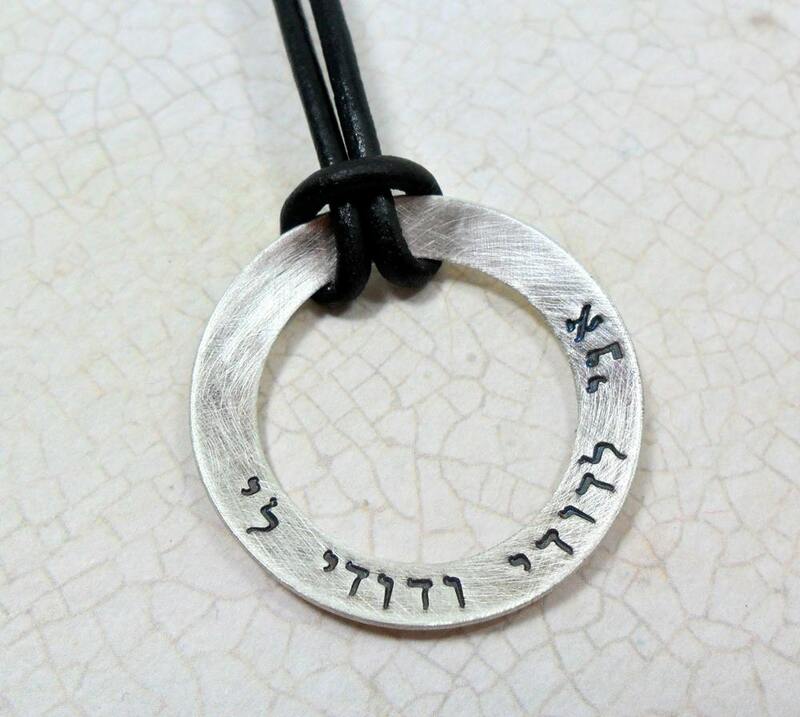 Pendant measures 1 1/4" outer diameter and 7/8" inner diameter, 20 gauge thickness. The leather cord is 2mm thick and measures approximately 18" long; clasp is a sterling silver lobster type. If you need a longer or shorter cord, please let me know in the note to seller at purchase. If you would like to customize this necklace please let me know! Sarah B. Handcrafted accepts Etsy's Direct Checkout (credit cards), PayPal (credit cards, e-check, etc. ), Personal Check, Money Order or Etsy Gift Cards. Production of your item will not begin until payment is received (this includes the use of an eCheck via PayPal). Order cancellations may be requested within 24 hours of purchase and will be honored only if production of your item(s) has not yet begun (for personalized items). Sarah B. Handcrafted ships via USPS: First Class, Priority & Express. Orders typically ship within 10-14 days following payment. If you are in a rush please contact me and I will try my best to accommodate your requests. A rush fee of $15-$20 will apply per item for 24-48 hour rushes. All jewelry arrives ready for gift giving in a ribbon-tied box and is safely packaged in a bubble lined envelope. Insurance is included up to $100 with Priority Mail and Express Mail. If you would like to add insurance to your first class package, please contact me after purchase. Resolutions for lost packages will be discussed on a case by case basis (very rare!). Note to International customers: international orders may have additional fees due upon delivery. These fees are the responsibility of the buyer. The true value of your purchase will be marked on all customs forms and an invoice will be included in the package, as required by law. Items will be marked as "merchandise" on custom forms as it is illegal to mark merchandise as a "gift." Ready to ship items (not personalized) may be returned for refund if you are unsatisfied. Items must be unused and returned in the same condition in which I shipped them. If you intend to return an item please contact me within three days of delivery; the item(s) must be shipped back to me within seven days of delivery. I will not be held responsible for shipping charges incurred in this circumstance. Variations in spacing, depth of lettering and word/symbol placement/alignment should not be viewed as a flaw! 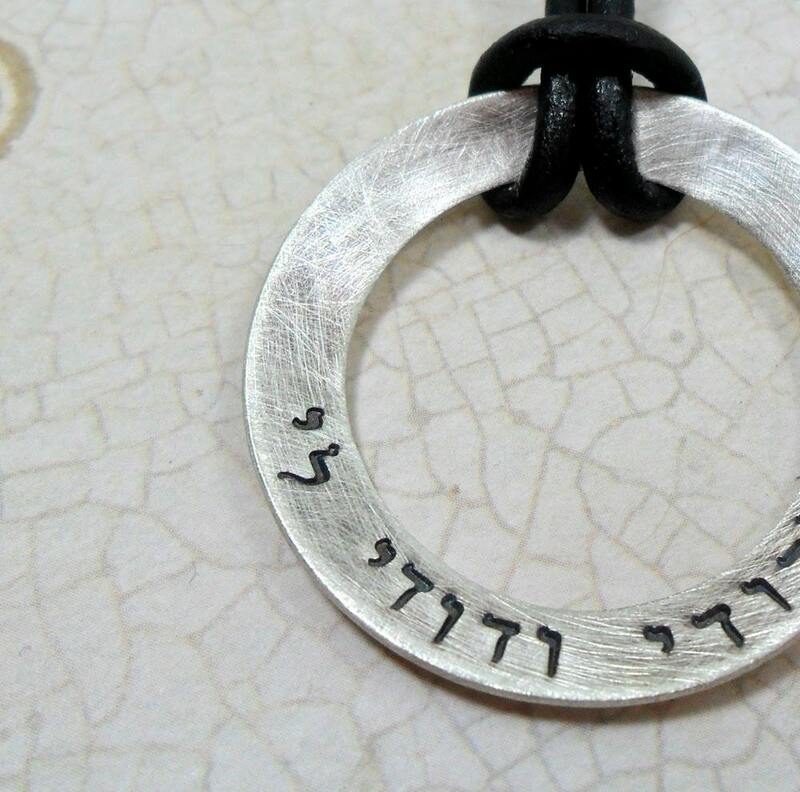 Each letter and/or symbol is hand stamped one at a time, which results in a one-of-a-kind piece, with its own unique charm! I love custom orders! If you do not see what you are looking for in my shop, I would love to work with you to create a one-of-a-kind custom piece! Please contact me with your ideas! Note on gauge: Remember, the lower the number, the thicker the disc & the higher the quality. Sarah Briedis Handcrafted primarily uses 18g sterling silver and gold fill. Note on multiple-piece orders: Orders of three pieces or more qualify for a 10% discount--just ask!